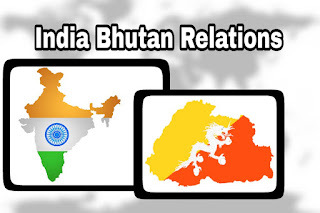 India Bhutan ties are a model in international relations today. India is a big powerful country and Bhutan is a small land locked country. Still we get along very well. There is nothing that can be more satisfying than this model relationship. In a reason characterized still not so long ago by the familiar trend of mistrust and suspicion primarily directed towards India. There has been one exception the Indo Bhutan relations. Both countries have been able to strike the right note and sustain their friendship. 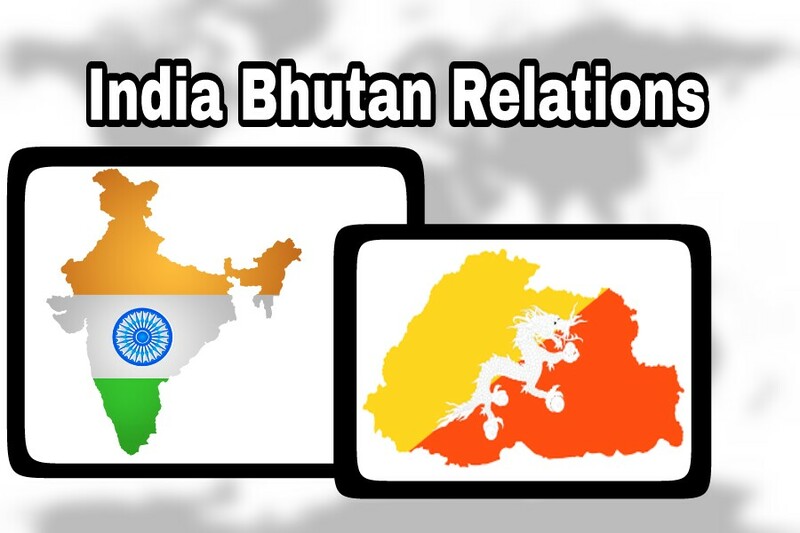 The Treaty of 1949 between India and Bhutan is said to be Central to the two countries relationship. The Treaty of 1949 provides the basic framework for conducting relations between the two countries. The Treaty of 1949 has 10 articles which include that there shall be perpetual peace and friendship between the Government of India and the Government of Bhutan along with the article that the government of India can exercise no interference in the internal administration of Bhutan. On its part the Government of Bhutan agrees to be guided by the advice of the Government of India in regard to its external relations. 1. Bhutan is a landlocked country and its capital is Thimphu. 2. It switched over from monarch to democracy in 2008, bhutan's democracy is a diarchy with the monarch retaining certain power. 3. Jigme khesar namgyel wangchuck is the king of Bhutan. 4. India contributes 70% of every five year plan of Bhutan and accounts for 90% of imports and exports of Bhutan. For Bhutan, its relations with India have been beneficial on three specific fronts: The domestic, international and economic. Even in the period of British India, there was no interference by it in the international political struggle and civil war that was taking place in Bhutan. The monarchy as we know it today was established only in 1907. British India by recognising it give additional legitimacy to the monarchy and contributed to stability. Later in 1910 the Treaty of punakha, rating the clause that there would be no interference in the internal affairs of Bhutan, insured primacy of new regime. Discontinued after the withdrawal of British from India. India has continued to adhere to the clause of non interference in its internal affairs. It seems to believe that what ever changes take place, should be from within and not from outside. In the past Bhutan had fear that following sikkims incorporation into India, it too would be affected. But India assured it that its territorial integrity would be respected. Bhutan also feared that like in Sikkim where the minorities were overtaken by the Nepali population, in Bhutan too the Nepalese would overtake the locals. Bhutan's problem at present revolve around the concept of' greater Nepal' to this is link the problem of refugees from Southern Bhutan who are of Nepalese origin. There are a large number of Nepalese india and the movement of Gorkhaland and the consequent autonomous Council have made Bhutan concerned about its people of Nepalese origin and their intentions. India's official position of non interference has ensured Bhutan a free hand to deal with its centrifugal tendencies in a matter as it feels is right. Bhutan has followed a policy of isolation from the beginning, it did not trust the British too. Following the threat from China, it was the aim of the British that Bhutan should come out of its isolation. It was slightly successful but the constituent World War 2 and later the British withdrawal in 1947 sent it into isolation again. To begin with, bhutan was suspicious of independent India's intentions after the Chinese occupation of Tibet in 1950. However following the Chinese action of 1958- 59 bit slowly realised that it needed to come out of isolation for its own survival. During this time when its territorial integrity was in danger, india insured it security through there was no provision in the Treaty of 1949 for the defence of Bhutan by India. Since then, bhutan has tried to assert it's sovereign existence at every forum. Its International journey begin with becoming a member of the Colombo plan in 1963. Bhutan's membership of Colombo plan was sponsored by India. As a result of its membership, bhutan received technical assistance from Japan, Australia, india, canada, new Zealand and England. Later in 1969, Bhutan's entry into the universal Postal Union was sponsored by India. In 1971, bhutan was admitted to the United Nations with the full assistance of India. In 1972 Bhutan became a member of economic and social Council for Asia and Pacific (ESCAP). The process thus continued and in 1985, bhutan became a member of the South Asian Association for Regional Cooperation ( SAARC ) providing it another forum to expand and conduct its foreign relations and this time more effectively since SAARC is a grouping of only 8 countries. After Bhutan became a member of UN it was OPINED by many that India has announced its right to look after bhutan's foreign relations which it had been enjoyed to do under the Treaty of 1949. However an independent Bhutan recognised by the international community ensured that its territorial integrity could not be easily violated and that Bhutan remained a buffer state. Further in the changing regional and international context had India not taken into consideration the aspirants of Bhutan, some other country would have. Such a move would have been detrminantal to India's long term interest. Presently Bhutan has diplomatic and non diplomatic relations with many countries. Bhutan is not only a landlocked country but also extremely backward. To come out of isolationism, india help it by completely financing the first two five years plan. Presently the Indian government is involved in many projects which include hydro power plants, cement plants, roads etc.40% of external revenue that Bhutan gets is presently from the sale of electricity to India. In this sense Bhutan has benefited immensely from assistance buy India. Most important of the total is given by India to other developing countries, the share of Bhutan is high. There is ar free trade regime between India and Bhutan not requiring even customers posts on the border. Being a landlocked country, india provides it with about 13 transit routes. Presently Bhutan is very keen on sub Regional Cooperation through the growth quadrangle which incompasses Bangladesh, nepal and the North Eastern part of India. it is emphasising on the economic content in its relations with the SAARC members countries. The China factor has been very important in defining the nature of relationship between India and Bhutan. It is this which gives Bhutan the geostrategic importance with respect to Indian interest. The British war primarily interested in Bhutan for facilitating a trade route to access tibet. The aims were purely economic in nature. It was only later when China start is laying claims to the Territory of Bhutan that the clause enabling British India to guide the foreign relations of Bhutan was incorporated in the Treaty of 1910. The Chinese occupation of Tibet and later chinese action there made Bhutan think seriously about coming out of it's isolationist policy. This later led to the closed involvement of India in Bhutan's economic development. In 1958 china had not only claimed Indian territory, it's map also showed 200 square bhutanese territory as part of tibet. It was at this defining moment that Nehru said in the Parliament that any attack on Bhutan would be considered an attack on India. Later India's defeat against China in the 1962 war, made Bhutan sceptical about the capability of India to look after its defence. But confidence was restored following the Indian victory in 1971. The process of normalisation of relations between India and China, made it possible for Bhutan to have direct bilateral talks with the China on the boundary question.thus, providing Bhutan an extra space to conduct its foreign policy. It is seen that the attitude of China towards tibet has played a major role shaping bhutan's attitude towards India. Bhutan has many historical links with tibet. The experience of the Tibetan refugees has made it apprehensive of developing close ties with China. In fact the Desire of Bhutan to gain recognition in the international Arena has a lot to do with the attitude of China. The fear that Bhutan will go into China's fold seems unlikely with regard to the current state of beneficial relations Bhutan has with India and it's past experience with China. Bhutan's experience with China has not been all smooth sailing and in fact Bhutan itself follows a restrictive policy with regard to its interaction with China. 1. India announced a number of measures and concessions including the exemption of Bhutan from any ban on export of milk powder, wheat, edible oil, pulses and non basmati rice. 2. Pm Narendra Modi inaugurated one of India's assistance projects - the building of Supreme Court of Bhutan and laid Foundation stone of the 600 megawatt kholongchu hydroelectric project, a joint venture between India and Bhutan. 3. India and Bhutan reiterated their commitment to achieving the 10000 megawatt target in hydro power corporation and not to allow their territories to be used for interest " inimical" to each other. 4. The two sides recalled the free trade and arrangement between them and the expanding bilateral trade and its importance in further cementing their friendship. 5. Modi announced doubling of scholarship been provided to bhutanese student in India which will now be worth 2 crore rupees. 6. Prime Minister Narendra Modi also Mooted the idea of an annual Hill sports festival with India's North Eastern states along with Bhutan and Nepal. 7. India will also assist bhutan set up a digital library which will provides access to Bhutan is used to two million books and periodicals. 8. Both India Bhutan reaffirmed their commitment to extensive development corporations and discussed ways to further enhance economic ties. 9. PM Modi described Bhutan as a natural choice for his first visit abroad as the two countries shared a special relationship. 10. the fact that Prime Minister choose Bhutan as his first foreign destination assesumes china has lately intensified efforts to woo it and establish full fledged diplomatic ties with Thimphu. Bhutan has immense security imperatives for India. A stable dependent Bhutan is essential for it to be an effective buffer state. India does not have any Imperial or colonial agenda while dealing with Bhutan. Prime Minister Nehru sad in 1958 in the most categorical terms that though bhutan is a small country, it should remain independent in choosing its own way of life. This policy enunciated by Nehru was continued by the succeeding governments in India, which has played an active role in Bhutan getting the international recognition that it deserves. While initially the economic aid given by the India can be said to have been influenced by security concerns in enabling Bhutan to have the essential infrastructure, in later years this has not been so. It presently follows a policy of mutual benefit from the projects which are being undertaken in Bhutan. The market from these projects will be India and in this manner it also ensure the development of North East part of India. While Bhutan is a small country and its wants are limited with time they are sure to grow. Any amount of Indian assistance would then not be able to meet the required needs. However through the approach being presently followed, india ensures the sustainable development of Bhutan. The 336 megawatt Chukhahydel project ensures power supply to parts of West Bengal and Assam. 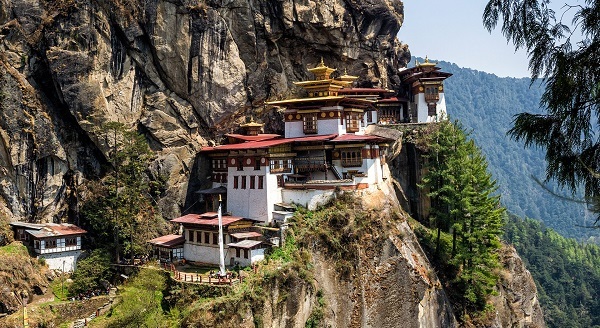 This one project provides nearly 40% of bhutan's national revenue. The 1020 megawatt Tala project is underway and price it is commissioned, the revenue Bhutan can earn will be substantial. On the Indian side with such projects when will be partially resolved. The Goodwill India is able to generate through its activities are likely to ensure that whatever changes might come in the future in political structure in Bhutan the attitude towards it will not change. Bhutan will see it in its own interest to be friendly with India for it is beneficial to it economically and in the international Arena. india's major concerns with the Bhutan presently are those relating to the disturbed situation in the northeast. It was reported that ULFA and NDFB insurgents had established camps in the border areas of Bhutan and without bhutan's help, it will not be possible to combat the insurgency. India and Bhutan have concluded an extradition agreement in 1996. The 1949 Treaty mentions extradition the present agreement is aimed at simplifying the procedure and making it more effective to deal with cross border terrorism and organised crime. Bhutan is not in any way assisting these insurgents, it's police forces are limited to meet such contingency. In fact the fourth king prepared his people and personally LED the armed action to clear the ULFA camps in Bhutan in 2004. In the light of above analysis some of the possible future scenarios need to be considered so that appropriate policies may be formulated by India. In a first scenario it is possible that the present cordial relations continue and even though Bhutan expands its interaction with external world it remains equally sensitive to India security concerns and to that extent, follows a restrictive policy. However in the light of recent development (the challenge arising out of camp setup in Bhutan by insurgents from north Eastern parts of India) it is possible that non state actors, either from India or Bhutan for any third country, can establish camps in bhutan given the geophysical Terrain. With the access they have to modern arms and equipments, it is possible that they could undertake activities which might pose a Grave danger to India security. In another possibility, it could be that with the spread of education and economic development, democratic changes take place in Bhutan where by people become assertive of their rights and of the place of their country in the international Arena. De presently acknowledge India's contribution to Bhutan in the economic and other spheres, it is possible that they might develop closed and Lee relation with China and other countries which may have implications for India security. First, it should deepen the close economic corporation already taking place and linking the development of North East India and Bhutan. Secondly it should arrive at an understanding with bhutan that while bhutan conducts its foreign relations, it should not impinge on India security interest. This would remove the ambiguity, which presently marks the relation between the two countries and equal India to face the future challenges. Proximity links both India and Bhutan as it does to neighbouring countrie in the world. However the geostrategic position of Bhutan has transformed the relation into one of the vital importance to both the countries. There is no doubt that the security imperatives are at the core of the close relationship, not only for India but Bhutan too in terms of its security interest and territorial integrity. India being the big power, had two choices; it could either have the trust its security concern on Bhutan by force or it could have work towards making Bhutan understand and appreciate India security concerns and how its own security too is linked with India. India choose the second route, it however did not allow the relationship to be limited to a single point security agenda. First extended it to include the economic agenda and secondly help Bhutan find its rightful place in the international committee of nations. India Wholeheartedly assisted bhutan in getting membership of the UNO. Bhutan itself follows a restrictive policy as regards its relations with China and has come to appreciate the immense benefits of close ties with India. ** the clause in the 1949 treaty do not reflect India's desire to dominant Bhutan but the concerns of India relate to the security not only of itself but of Bhutan too. ** economically india has helped in its all round development. ** bhutan has gained immensely from the special relations it has had with India in all aspects of its development as a nation. It has grown in international status and its sovereignty is fully recognised. ** further india has adhered to the clause that it will not interfere in the internal affairs of Bhutan. ** while security concerns dominate the relationship, it is important to note that presently the security concerns facing the two countries emanate from activities with in their borders and not due to activities of a third country. The insurgent in India taking refuge and their possible linkage with the dissidents in Bhutan is a matter of great concern to the both countries. ** geographically juxtaposed into a close proximity the two countries have sought and obtained what they have needed from one another.